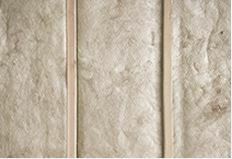 When it comes to comfort and energy efficiency in your home, you cannot underestimate the benefit of insulation. The right insulation for your home depends upon a variety of factors, including where you live, how much you want to spend and the locations within your house that you would like to insulate. There are a wide variety of products on the market, each with their own advantages and disadvantages. Read on to learn more. The primary characteristic of insulation material is its thermal performance. This performance is given a number rating called an R-value. The greater this number, the more the insulation will be able to prevent the transfer of heat between the interior and exterior of a home. The standard R-value recommendation for homes is 38, but the optimal value for your space depends on your region and area of the home being insulated. R60 is recommended for attics in homes in cold climates, such as in Northern Minnesota while R13 is fine for floors in the warmer climates of Southern Florida. Once you’ve determined the appropriate R-value for a given space, it is time to figure out which material will be most cost effective. Each type of insulating material available has its own R-value per inch of thickness. As thermal performance increases, so do costs. Let’s say you need to insulate a floor space in Southern California. According to Energy Star recommendations, you’ll need a total R-Value of around 20. If you only have 5 inches available for insulation, you’ll need materials with high thermal performance like plastic fiber or phenolic foam. If you have a lot more space to work with, you’ll be able to get away with cheaper materials with less R-value per inch like the ubiquitous fiberglass. There are a lot of things to consider when installing insulation and it is always a good idea to get a professional opinion. For more information about an energy audit or insulation, contact USI online to find a branch near you. USI believes that excellence in every step of the process and ensures timely completion and quality of service, time after time.